Half-term is over and Lucas (and I) are very excited about the first day of school. He’s looking forward to seeing his friends again and I’m looking forward to some peace and quiet. And maybe a nap. Hey, naps are totally primal! This week I am fearsomely organised. I actually made my meal plan on Saturday night, added the resulting shopping list to my second brain iPhone, and then hit the supermarket first thing on Sunday morning. After I played Fridge Tetris, I made some salsa egg muffins for Dave’s breakfasts this week, followed by an Italian turkey meafloaf and a batch of cauliflower mash for his work lunches. So, he’s all set for the week and my halo is shining as brightly as any angel’s. We’re off to London this weekend for the London Super Comic Convention which promises to be lots of fun. I love London and going there is always a blast! It’ll be good to see some of our old friends and make some new ones! Eating properly will be challenging, but I’ll do the best I can and hopefully all the walking around Excel and the riverside will help with whatever damage does get done. W: Pork tenderloin wrapped in pancetta with sage, onion and apple; roasted sweet potatoes or carrot-cauliflower mash. Haven’t decided yet. T: Leftover Moroccan Meatballs. Mmmm… meatballs. 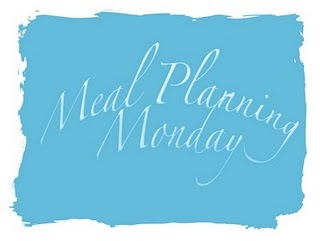 I’m linking up with Mrs M’s Meal Planning Monday again. Always fun to see what other people are cooking! Wow, its sounds really exotic! How do you make cauliflower pilaf? Hi Fay! Thanks for stopping by. The cauliflower pilaf is loosely based on this recipe. I use ras el hamout spice blend rather than messing around with individual spices (or sometimes, bahrat spice blend.) The brand is Seasoned Pioneers and it is available directly from them or at Sainsbury’s. I think Sainers also have their own brand of r-e-h, but I digress… I add dried cranberries, raisins, and maybe some dates with plenty of onion and chopped parsley to give it balance. Thanks for the shoutouts to my recipes — so nice! LOVE the idea of being fearsomely organized. Fantastic! Oh, wow! Thanks for stopping by, Mel. I’m a huge fan of Well Fed, and it is certainly keeping us well fed 🙂 Hoping to do the Bora Bora Fireballs next week! !